in the cow herd, as herd sire's or in the feed lot. that are available for spring breeding. Kobe Mizutani is sired by Kenhanafuji ( an Itohana son) and out of Heatherkuru, a full sister to Shigeshigetani. Domestic quality embryo's available. Katie is now 17 and still flushing. The last 3 flushes resulted in 35 embryos! Not bad for an older gal! We will add more pictures when the weather clears up! 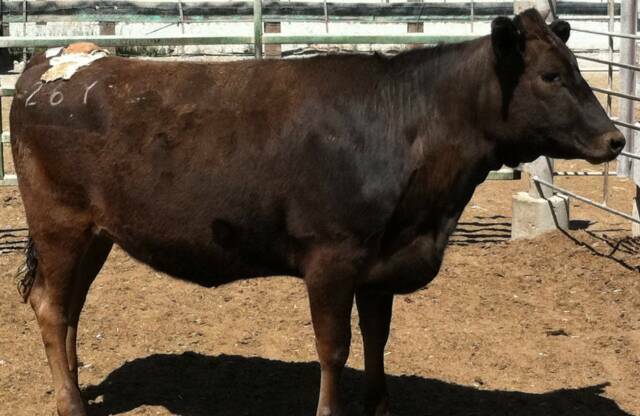 She is very well put together and is expecting her first calf the fall of 2013.